Patrice COURVALIN, Roland LECLERCQ and Lou B. Rice. 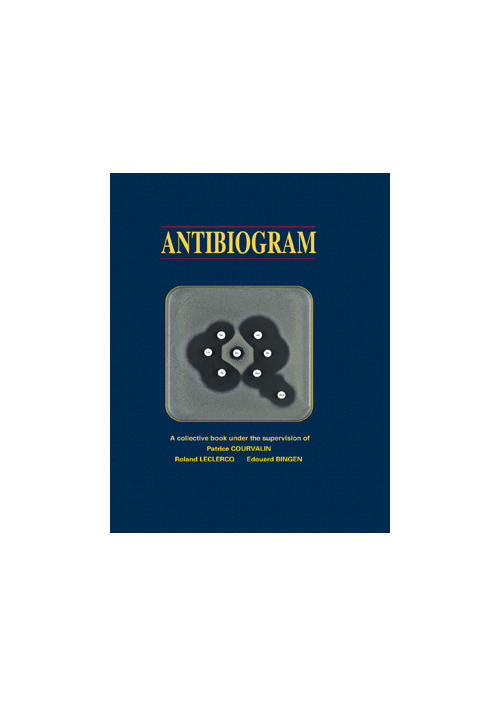 « Antibiogram » is the third state-of-the-art, international edition of the original book published in 1985 in French. 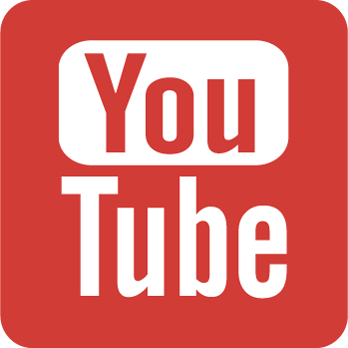 During the last twenty-five years, new antibiotic classes have entered the market and numerous new resistance mechanisms have emerged and disseminated. It was thus more than necessary to update this book, which at the origin of the concept of “interpretative reading” of the results of in vitro susceptibility testing. The book is organized in four sections: principles and methods, antibiogram of the major bacterial groups, protocols for study of antibiotics, and appendices. 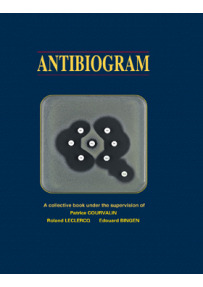 Written by over fifty international authors, this book was coordinated by Patrice COURVALIN, Head of the Antibacterial Agents Unit and director or the French National Reference Center for Antibiotic Resistance, Institut Pasteur, Paris; Roland LECLERCQ, Head of the Laboratoire de Microbiologie, CHU-Caen; and Louis B.RICE, Chief, Medical Service, Louis Stokes Cleveland VA Medical Center, Ohio. The book, which is meant to be practical, is intended primarily for bacteriologists and biologists in hospitals and in medical laboratories, but also for infectiologists, intensivists, medical students, and all the specialists in the field of human and animal Health of pharmaceutical and diagnostic industry who are interested in antibiotic therapy.